An exciting new duo are set to take bookings after their first music video became an overnight success. With Nay and I are vocalist Naomi Nield and Richard Tordoff on acoustic guitar, both from Cumbria. With a name inspired by the cult movie Withnail and I, Naomi and Richard have joined forces to sing at weddings, garden parties and any special event. Their first professional video featuring the Eva Cassidy number Ain’t No Sunshine, and produced by Dave Macfarlane of dmtwo.media, has already scored thousands of viewings online. It was recorded by Tom Tyson at The Music Farm Studios in Egremont where the duo’s first demo disc was also made. 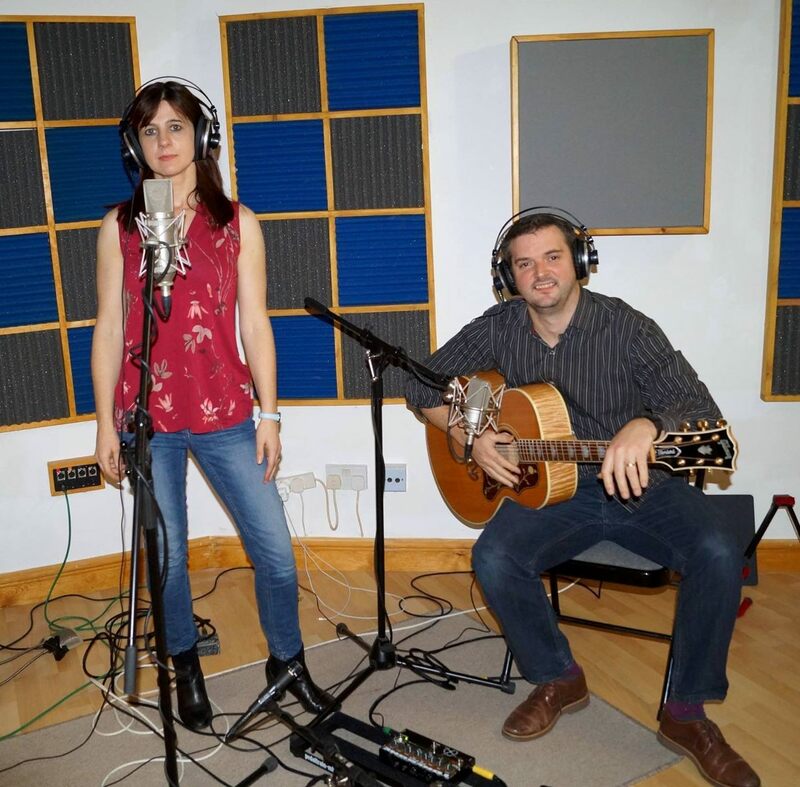 Both professional musicians with years of experience performing in the region, Naomi and Richard cover a mixture of traditional, classic and modern songs, interspersed with fingerstyle guitar solos. Richard, who lives in Windermere, has taught guitar full time for some 15 years in local schools, and also plays electric, classical and bass guitar, and ukulele, and plays guitar in a band, The Vows. Naomi is a founder member of The Vows, which has been playing at weddings and functions since 2006. A native of the Lake District, she’s a trained English and drama teacher and lead vocalist with the band Misdemeanour. She’s also performed with her twin sister Michaela Birket , an accomplished pianist. With an impressive vocal range, Naomi can cover a wide range, from power ballads to folk numbers, rock anthems to love songs, and her repertoire is expansive and always growing. This entry was posted in Uncategorized on December 19, 2016 by Stagey Lady. An Ambleside businesswoman has launched a charity initiative to help children in war-torn countries, by swimming for a month. 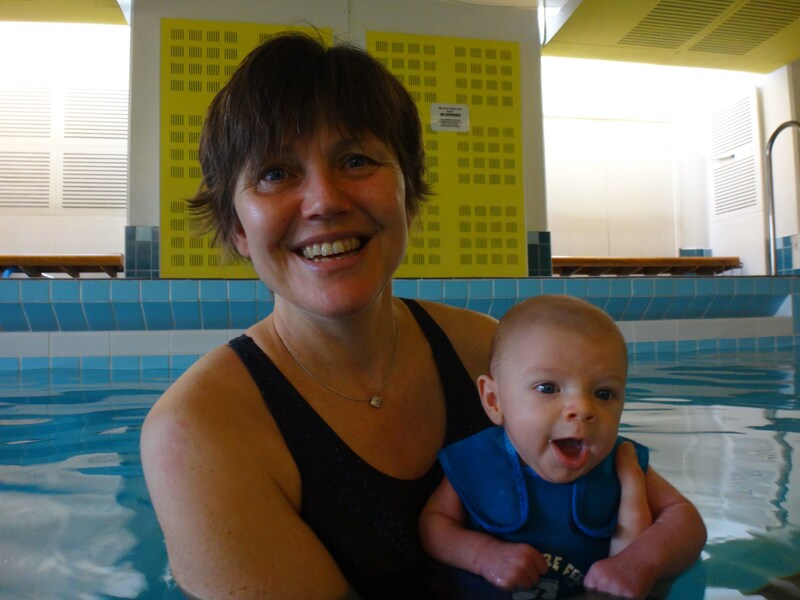 Andrea Kelly, who runs Swim the Lakes with husband Pete, is encouraging people to swim 10 kilometres by the end of January for the charity Save the Children. Swimmers can take part in any location, in a pool or outdoors, and do the entire 10k in one attempt, or in shorter sections day by day. They can register online and pay the £20 donation to take part in the “virtual swim challenge”, receive a badge on completion, and join a Facebook group to connect with other participants. “Children desperately need our help,” said Andrea, whose son William will be one on New Year’s Day. She added: “As the parent of a young child, I feel the dread for them of becoming separated from their parents – alone, afraid and vulnerable in a warzone. Save the Children’s teams are on the ground doing whatever it takes but they need our help to do more. All profits go to the charity and Andrea’s target is £5000. This entry was posted in Uncategorized on December 12, 2016 by Stagey Lady. Ambitious plans for expansion and a new café have been unveiled at a leading tourist attraction in Grasmere. The Heaton Cooper Studio, one of Cumbria’s most distinguished galleries and the pre-eminent centre for landscape art in the Lake District, is to be extended to create new exhibition space, room for artists’ workshops, and a stylish café. Work will begin on the project in the new year. The studio was established on the village centre site when William Heaton Cooper, the second generation of the dynasty of artists, built the present gallery in 1938. The family art business had been established by his father, Alfred Heaton Cooper, in 1904. Once the project is completed and the café opens, it is hoped that more jobs will be created for local people. In recent years the scope and range of the studio has been extended considerably with the opening of the archive gallery, which has hosted a number of high-profile visiting exhibitions, showcasing the work of local, regional, national and international artists, and significant additions to the goods sold in the art and gift shop. The studio sells fine art prints – framed or mounted – and books about the Heaton Coopers and other Lakeland artists, as well as books about Cumbria and mountains generally. The studio also celebrates the work of other artists in the family, notably William’s wife Ophelia Gordon Bell, the sculptor famed for her head of Everest pioneer Sir Edmund Hillary, and their son Julian Cooper, the internationally renowned painter whose recent work has been concerned with finding a relevant contemporary language for painting mountains and rock. The Heaton Cooper Studio in Grasmere was opened by William Heaton Cooper in 1938. The Lake District Centre for the Interpretation of Landscape, the Heaton Cooper studio was one of the original stakeholders in the LDNP bid for World Heritage Site status. It is a hugely popular tourist attraction, with more than 90,000 visitors last year. It features work by the Heaton Cooper family and guest artists, with the Lakeland landscape at the heart of the gallery’s displays. 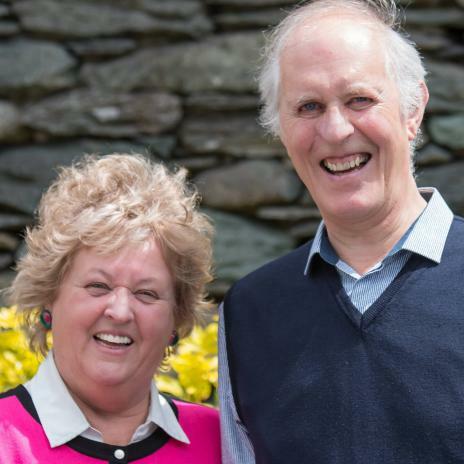 Top holiday cottage company Heart of the Lakes has joined forces with Ambleside Together as headline sponsor for next year’s Festival of the Fells. The company, based in Ambleside, will help the local organisers fund the event which was a big hit when it was staged for the first time this autumn. The Festival will be held over four days from September 21-24 and will feature an even bigger programme of walks, talks, music, film and other outdoor and indoor events. Launched by the volunteer organisation which coined the popular Love Ambleside logo, the first Festival was hailed a big success by locals, visitors and participating companies. An independent report states that the event brought in an extra £200,000 to the local economy. Heart of the Lakes, which has more than 150 properties in and around Ambleside on its list of over 300 holiday cottages in the national park, will feature prominently in the build up to the Festival. This entry was posted in Uncategorized on December 7, 2016 by Stagey Lady.